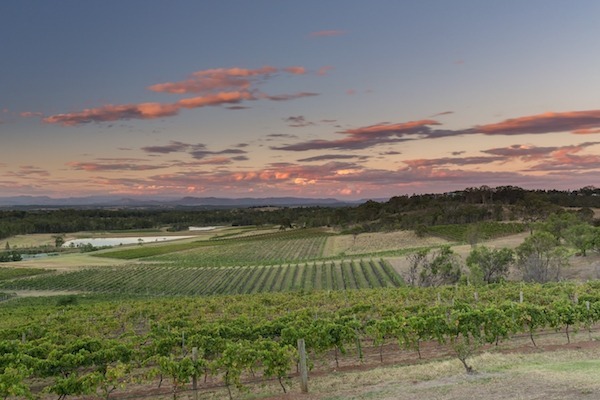 Many Sydneysiders affectionately regard the Hunter Valley as a place to visit for romantic weekends and hazily recalled winery tours. While it’s suitable for all that – visitors have over 120 cellar doors to choose from – there’s more to the Hunter than vineyards. This region was important in the modern nation’s early years. Happened upon by Europeans in 1797 during a search for escaped convicts, it became an early source of coal and timber for the fledgling colony. That was the main motivation for one of the colony’s most ambitious engineering projects: the Great North Road. The Convict Trail fits a lot into its short, scenic course. If you’re coming from Sydney or Gosford, Calga makes a good first stop. Nearby is the beautiful Popran National Park, which contains a number of Indigenous sites of significance. Refuel at Peats Ridge or Mangrove Mountain, well-serviced towns with plenty of options for the hungry traveller. Wollombi’s main street would be a good place to film something – an Aussie Western, perhaps. History is impossible to ignore here – so get to know it better at the Wollombi Endeavour Museum. Refuel at The Great Northern Trading Post in nearby Laguna, a versatile venue with a popular kitchen and a live-music focus. Head east for the massive, World Heritage­–listed Yengo National Park, one of the state’s finest. You could spend a happy few days exploring here. Cessnock is a popular launchpad for Hunter Valley adventures, but don’t launch too soon – there are reasons to hang around, including creative activity, diverse dining options and a beer trail. It’d be a shame not to see a vineyard or two. Pokolbin is the logical answer – your challenge will be choosing which ones to visit. Extend the tasting in Lovedale, choosing from nearly 20 family-run vineyards whose cellar doors are renowned for their hospitality. Branxton offers caravanners a chance to experience wine country up close and personal, with a selection of caravan parks where you’ll feel like you’ve pulled up in a vineyard. An early place of settlement after the opening up of the Hunter, Branxton also has several historically interesting sites, which you can tour via the Branxton Heritage Walk.